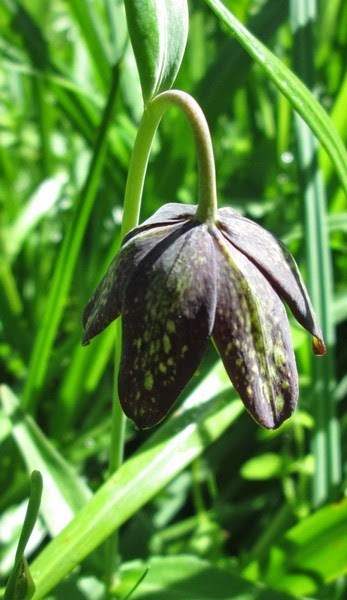 On the left, the rare and protected Chocolate lily. 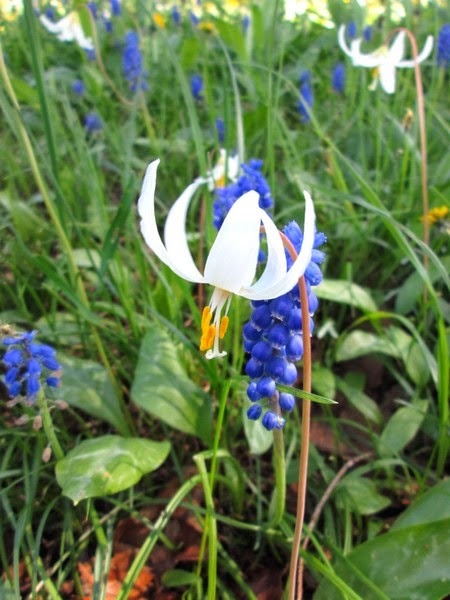 On the right, White Fawn Lilies with Grape Hyacinths. Blessings of an earth filled with laughing flowers.